From left: Nordal, Thorisdottir, Heimisdottir, Jonsson and Gissurarson. Photo: Kristinn Ingvarsson. RNH Academic director, Professor Hannes H. Gissurarson, was a speaker at a conference 19 April 2017 organised by the Institute of International Affairs at the University of Iceland, the Icelandic Ministry of Foreign Affairs and others on Iceland’s future role in international affairs. He recalled that the Roman god Janus had two faces looking in different directions. Iceland was like that: She was located in the middle of the North Atlantic and had to look both west, to America, and east, to Europe. 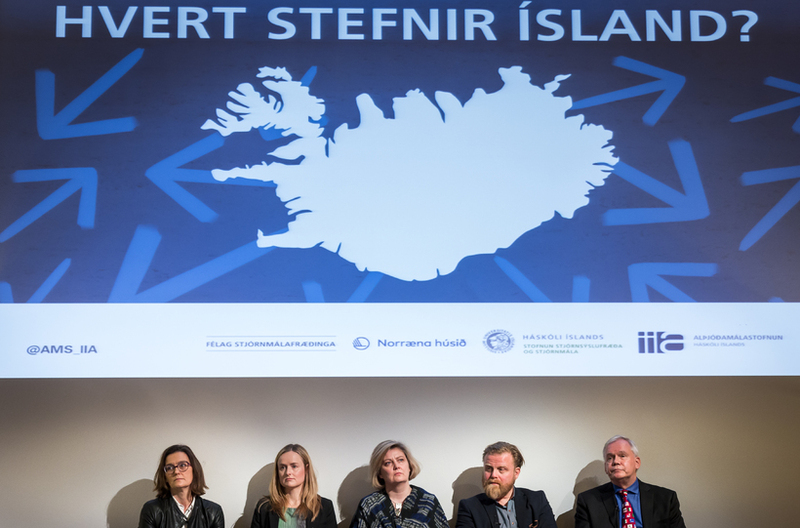 Gissurarson took issue with the thesis promoted by Professors Anne Sibert and Baldur Thorhallsson that Iceland was too small to be sustainable on her own and that she had therefore to seek shelter in the European Union. Gissurarson said that, on the contrary, Jon Sigurdsson’s arguments for independence, presented in mid-19th century, were still valid. Small states had indeed proliferated in the 20th century, for two good reasons. First, they benefited from the international division of labour made possible by free trade, or ‘globalisation’; second, the advance of democracy had brought about a general recognition of the right to national self-determination. Gissurarson pointed out that economies of scale did not always apply to small states, for example in the maintenance of law and order, because small states were frequently more homogeneous than big ones, typically also enjoying a higher level of trust and more transparency. Often the economies of small states were more open and flexible than those of big ones, which might explain why they tended to be more affluent. Iceland’s foreign policy should first and foremost have the two limited and practical aims, Professor Gissurarson submitted, of selling fish and other goods and services and of seeking security for a small country without her own military. He quoted the late Icelandic Prime Minister Bjarni Benediktsson: “The respect for a small country in the international arena is inversely proportional to her loquaciousness there.” Even if the Icelanders had been disappointed in their traditional allies during recent difficulties, they were now faced with two alternatives. 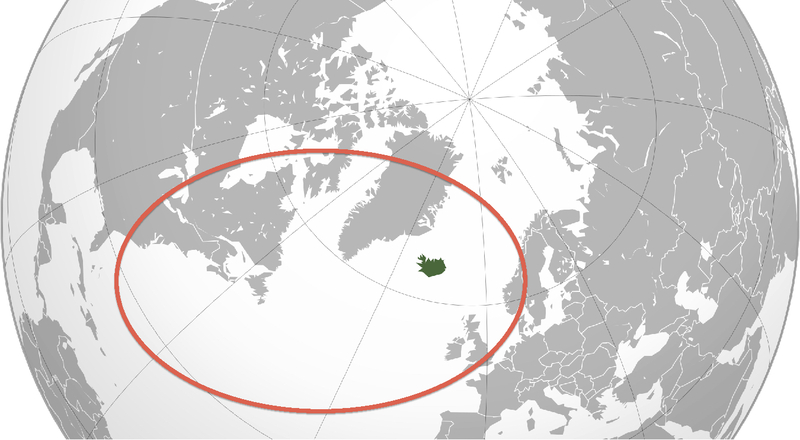 The Atlantic option meant increased cooperation with their neighbours in the North Atlantic, Norway, the UK, the US and Canada, and also with their friends in the Faroe Islands and Greenland. The EU option, on the other hand, meant increased integration with the countries on the continent. While the two options were not necessarily mutually exclusive, the Atlantic one seemed more natural and also more desirable: the UK was Iceland’s biggest single customer, and the US was by far the most powerful country in the world, with the military might to protect Iceland. Historically, the Anglo-Saxon powers and the Nordic countries had also fostered values such as freedom, democracy and the rule of law. However, in the modern world the Icelanders should take care not to lose their identity. They had to maintain the delicate ties woven by more than thirty generations living in the same country, speaking the same language and sharing the same memories. While the Icelanders had to be conscious of their tiny size, they should not be overwhelmed by it; instead, they should try to overcome it.